High Computing Performance and High Storage Capacity 4U Storage Chassis - 29" depth 4-Way Processor and High Storage Capacity Applications 1620W (1+1 redundant) Platinum Level High-efficiency Power Supply (optional 2+1 redundant). Key Features • High Computing Performance and High Storage Capacity 1. 4U Storage Chassis - 29" depth 2. 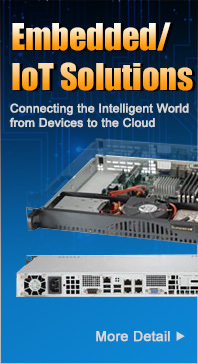 4-Way Processor and High Storage Capacity Applications 3. 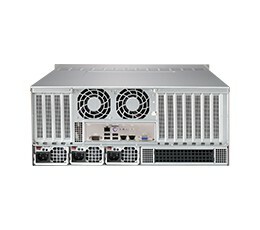 1620W (1+1 redundant) Platinum Level High-efficiency Power Supply (optional 2+1 redundant) 4. 24x 3.5" SAS / SATA Hot-swap Drive Bays with SES2, Mini-iPass (SFF8087) Connectivity 5. 11(7+4)x Full-height, Full-length PCI expansion slots 6. 4x 92x38mm and 2x 80x38mm Hot-Swap Cooling Fans 7. Power Switch, Reset Switch & 6 LED Indicators 8. Full SES2 support is available with SAS motherboards and other compatible components. 4U chassis support Quad-processor motherboards up to size 17" x 17"